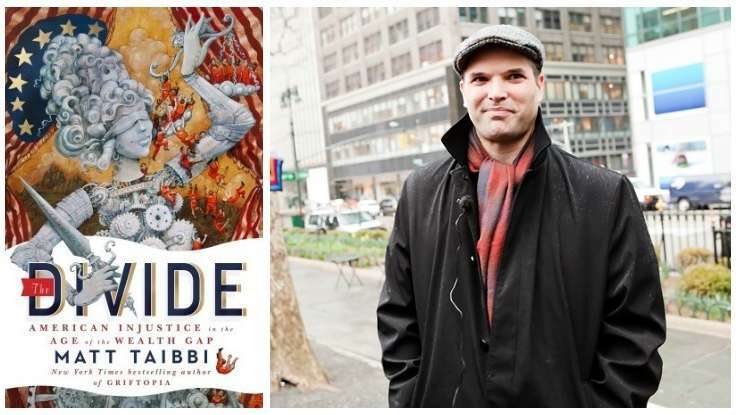 Matt Taibbi, a journalist who left the Rolling Stone to begin work at First Look Media, authored the book The Divide: American Injustice in the Age of the Wealth Gap. Described by The New York Times Book Review as “impossible to put down,” the book “takes readers on a galvanizing journey through both sides of our new system of justice –the fun-house-mirror worlds of the untouchably wealthy and the criminalized poor,“ as the back of the book reads. Yet who in America does not notice life is different for the rich and the poor? There may be a story just about that, but is the publishing industry tired of the ruthless elite taking advantage of the weak to increase ROI? Not yet. Readers have a fascination with fraud, especially with the people behind the schemes. Just imagine a character like the LA Clippers Owner Donald Sterling, who was just recently caught on tape making a racist rant while his girlfriend interrogated his views. He is not only the type of guy who hires minorities in low-level jobs, taking his girlfriends to the manufacturing facilities to show off how hardworking his low-paid workers are, but he is willing to manipulate what he can at the expense of the working class to walk away with a big payout. Maybe you don’t want him to be racist. Maybe you want him to be the lawyer who comes at these problems like there is no such thing as justice being different for the rich and the poor. The lawyer might just believe the reason for the perceived injustice is really the standard of proof. With the standard of proof being fairly high, it is harder to show intent and causation for high-level crimes while for low-level crimes prosecutors can show those elements with greater ease. In the end, the lawyer either learns differently or never does. Or maybe you much rather write a Matt Taibbi who uncovers an injustice. Whoever you make the protagonist, you have enough juice for a great novel.